#killyourtv because your happiness depends on it! I can tell you that I grew up with a lot of TV, it was just what people did. But back in the 90’s I was so preoccupied with my school work, I stopped regularly watching TV. Its not to say that I never watched here and there, but I stopped watching regularly. And I noticed my life changed because I didn’t miss television. In fact most people around me, who still watched television regularly complained and discussed about so many things, and I was like……what the Hell are you talking about? I’m going through life noticing wonderful things amongst some of the bad. Let’s be honest, TV is all about the short term. And bad things win and work real well in the short term. Whether its news or TV shows, they all have a narrative for you on how things work and how the world works. Seriously, #killyourtv and provide your own narrative on how things work. Provide your own vision of what’s really happening out there. I’d rather experience my world on my terms than have giant corporation curate it for me. I hope you feel the same way. Dump regular TV, and even better……get rid of the one you have. You’d be surprised at how much more you enjoy the life you have right now. Even a powernap by the fireplace is better than watching TV. 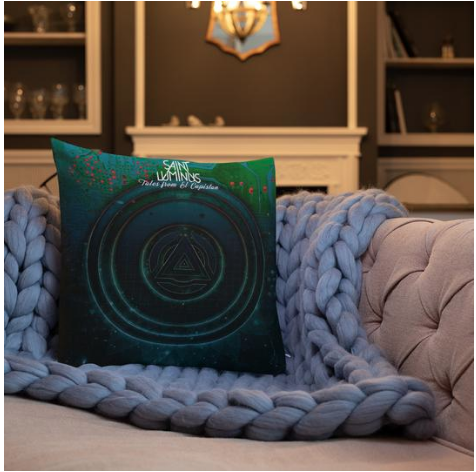 Do it comfort with the Saint Luminus comfy pillow. Tap/click below to at least take a look. I promise if you get one, you’ll take the best nap in years.